Nowra Team Trial Championships @ 21 July - BiciSport Womens team of Melissa Budd, Natalie Rutherford, Ruth Strapp & Lisa Benjamin with Darren Crouchley (Manager/Mechanic). The Womens team finished 4th. Nowra Team Time Trial Championships @ 21 July - BiciSport Sassafras Challenge Mens team ... L to R Darren Crouchley (Mechanic), Graham Cockerton, Stewart Campbell, Tom Green & John Crouchley (Manager). Rhett Hall (not in photo). The BiciSport Anytime Fitness team finished 3rd. * RAW Track @ DGV @ 20 July - David Browne currently leads Division 2 at RAW at DGV with 8 rounds remaining. * DGV 100 lapper - Graham Cockerton is showing good form with twice first to finish in the fast group at the DGV 100 lapper on a Wednesday night. 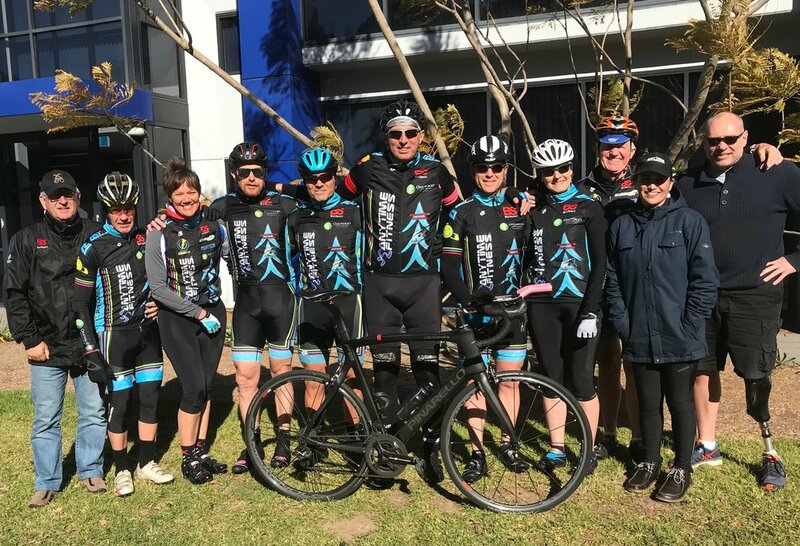 * Nowra Team Time Trial Championship @ 21 July - The Friday weather conditions were less than pleasant, but Saturday dawned much more agreeable. with much softer wind conditions. BiciSport fielded 5 teams to the Championships. Championship Masters 180+ - Peter Budd, Mike Lawson & Peter Verhoeven took the Bronze medal in 1hr 5min (from 7 teams) but it was a very tight result with the Silver medal and 4th place just 3 seconds away. Peter V had a wheel problem and the service saw 30 seconds given away. Sassafras Challenge Men - Stewart Campbell, Tom Green, Rhett Hall & Graham Cockerton took 3rd (from 13 teams) in 1hr 00min. Conor Tarlington, Will Peters, Patrixck Conway & Dom Zumbo took 5th in 1hr 2min. David Browne, Frank Signor, Noel LaRose & Peter Davis took 13th in 1hr 24min. 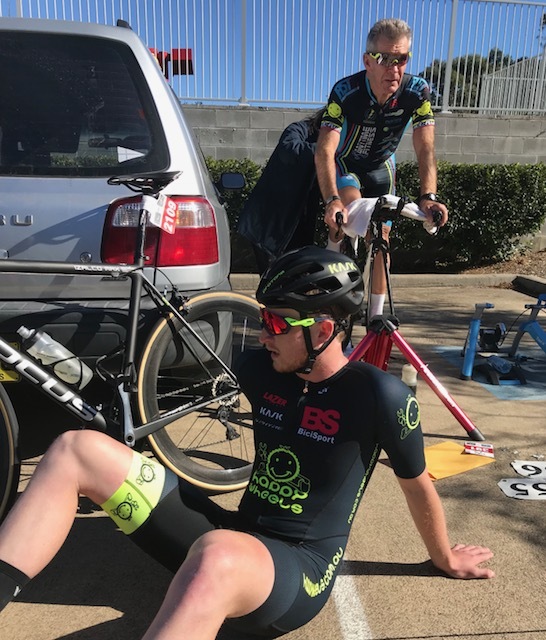 Special thank you to Anytime Fitness for supporting the Nowra TTT Championships and the BiciSport support team of Alex Simmons, Darren & John Crouchley. 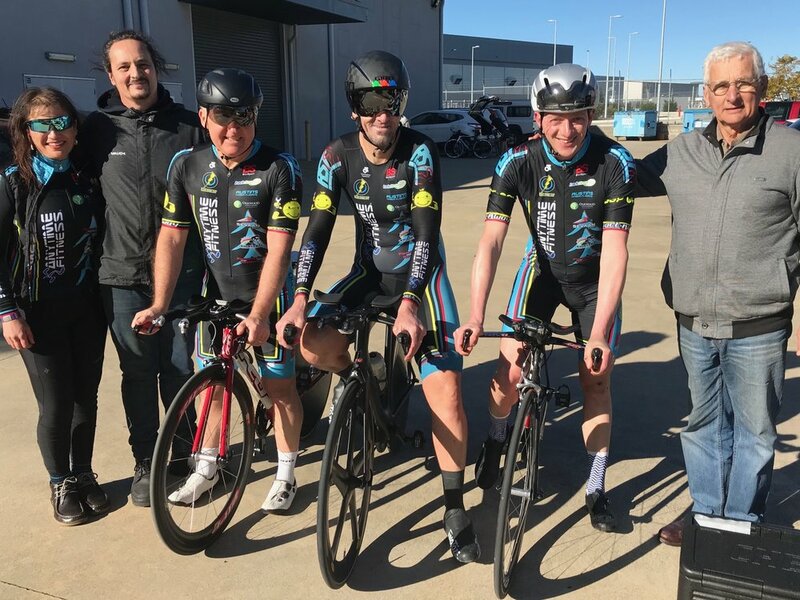 Nowra Team Time Trial Championships @ 21 July - The 180+ BiciSport Masters team of Peter Budd, Peter Verhoeven & Mike Lawson took Bronze. Ian Grainger was sadly missed being a DNS due to illness. * Motor traffic conditions are HEAVIER with the start of the NSW School term. * 26 July (Thurs) - Happy Wheels Waterloo Ride @ 6.00am @ Happy Wheels shop at Waterloo. Distinguished Gentlemen's Ride @ 10.30am @ Spruce Goose Cafe Centennial Park.